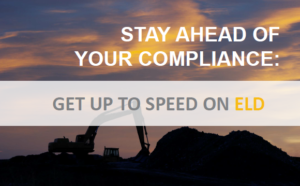 The ELD rules for construction are different! Get informed on how to stay compliant with the FMCSA’s new regulation with an expert on fleet regulations and compliance. A complete understanding of the mandate. Best practices to implement the devices. How to gain an impressive ROI.